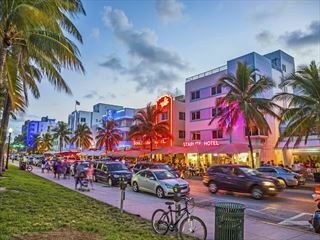 Take in some of the best locations America has to offer on the East Coast, Deep South and Florida with this Southern Explorer escorted tour, starting in New York and ending in Miami. 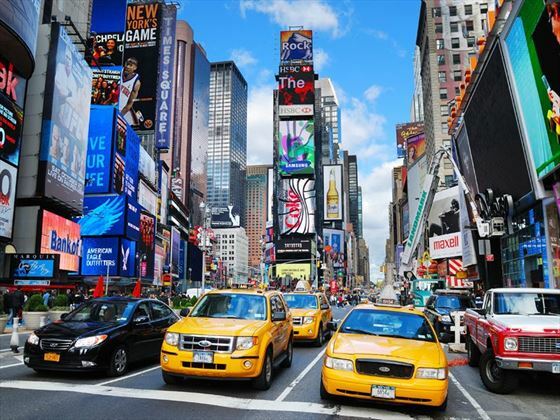 You’ll visit Philadelphia, Washington, D.C. Great Smoky Mountains, Nashville, Memphis, New Orleans, Pensacola and Orlando, with a host of incredible sights and attractions along the way. 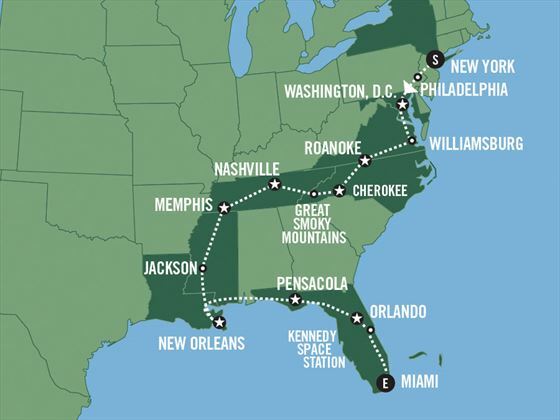 From the Kennedy Space Centre to soaking up the vibrant atmosphere in New Orleans’ French Quarter and visiting Graceland in Memphis, there are countless opportunities to enjoy as part of this trip that will give you a great insight into the culture, landscapes and heritage of the south. 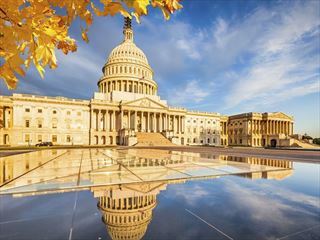 Take a city tour of the nation’s capital – Washington, D.C. 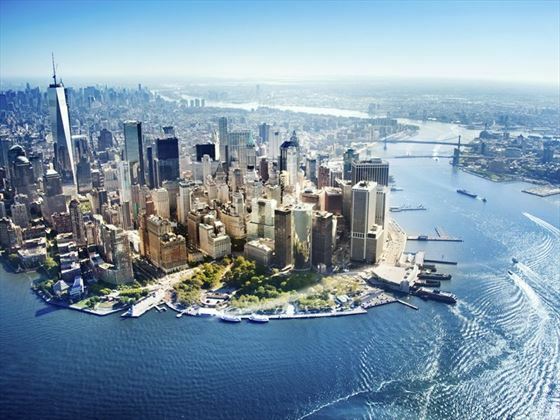 Arrive to New York City and transfer independently to your hotel – the rest of your day can be spent at leisure. 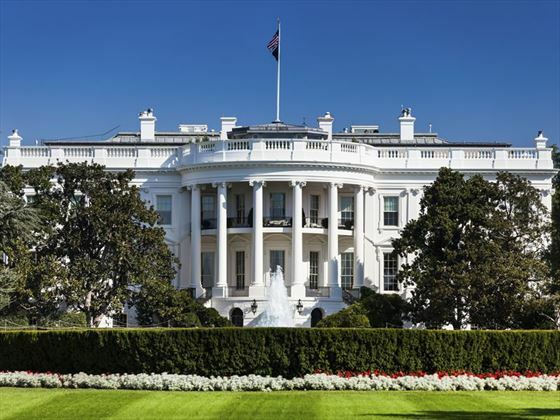 New York – Philadelphia – Washington, D.C.
Make your way to Washington, D.C. this morning via Philadelphia, the birthplace of the nation where you’ll have time to stop and see the Independence Hall and the famous Liberty Bell. 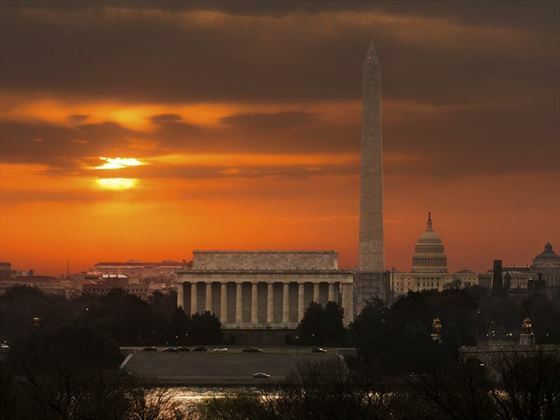 Upon arrival into Washington, D.C. transfer to your hotel and enjoy some time to explore your surroundings. Take part in a city tour this morning, including highlights such as the U.S. Capitol Building, the Supreme Court, Library of Congress, Lincoln Memorial, the White House and the Arlington National Cemetery, site of the John. F. Kennedy Memorial. The remainder of the day is at leisure so why not head to some of the museums comprising the Smithsonian Institute or take a relaxed stroll along the banks of the Potomac River. Leave for Williamsburg this morning, the colonial capital of Virginia, where you’ll walk along the Duke of Gloucester Street to visit some of the impressive public buildings found here, including the colonial houses and the College of William and Mary (admissions not included). 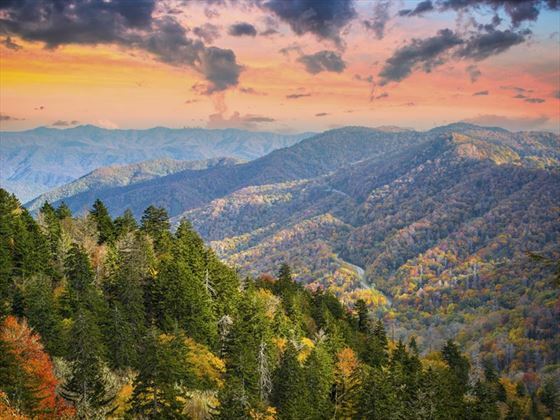 Today, travel along portions of the Blue Ridge Parkway, through the beautiful Blue Ridge Mountains for an early afternoon arrival in Gatlinburg, nicknamed the "Heart of the Smokies". Take in the breath-taking scenery of the Great Smoky Mountains National Park where you’ll explore the Mountain Farm and Museum to see what life as an Appalachian farmer is like. 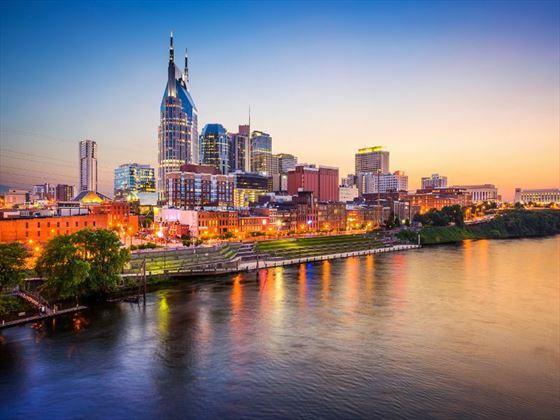 From here, continue on to Knoxville and Nashville, capital of Tennessee and the birthplace of country and western music. Journey across the countryside today to arrive in Memphis, the city renowned for incredible blues music and the home of Sun Records. You’ll embark on a city tour which will include a visit to Beale Street, the heart of the music scene. This afternoon you have the option of a visit to the home of Elvis - Graceland. Today sees you pass through Jackson to Louisiana and New Orleans. In the evening, immerse yourself in the colourful creole culture on-board an authentic Mississippi Riverboat for a dinner cruise where you’ll enjoy the rhythms of a Dixieland jazz band (optional). Today is at leisure so you can get a feel for your surroundings and enjoy the sights and sounds of New Orleans at your own pace. 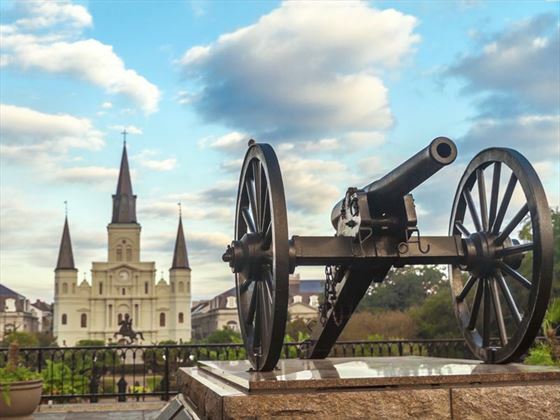 Explore the French Quarter with its charming cobblestone streets, check out the local cuisine with a trip to one of the many fantastic eateries or explore the architecture. Travel along the Mississippi Gulf Coast to the city of Pensacola where you’ll visit one of the top ten rose gardens in the USA at the Bellingrath Home (admission included). Afterwards, visit Pensacola Beach where you can walk past the swaying sea oats and dip your toes in the warm waters of the Gulf of Mexico. Journey along the Florida panhandle to Ocala which is known for its many thoroughbred horse ranches; continue on from here through central Florida to reach Orlando for your overnight stay. Enjoy a full day at leisure where you can unwind by the pool, or visit one of the many theme parks (not included) – the choice is yours! Visit Kennedy Space Center, home of America’s space program (admission included). Continue to the cultural melting pot of Miami Beach. Your tour ends today. it's time to head to the airport for your international flight home.